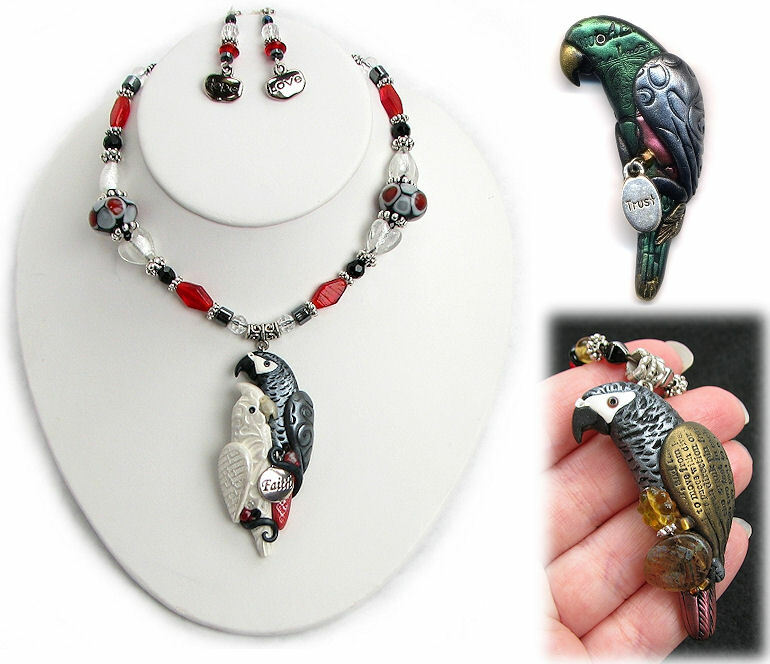 Besides her "regular jewelry", Alicia enjoys creating more whimsical bird jewelry as well. 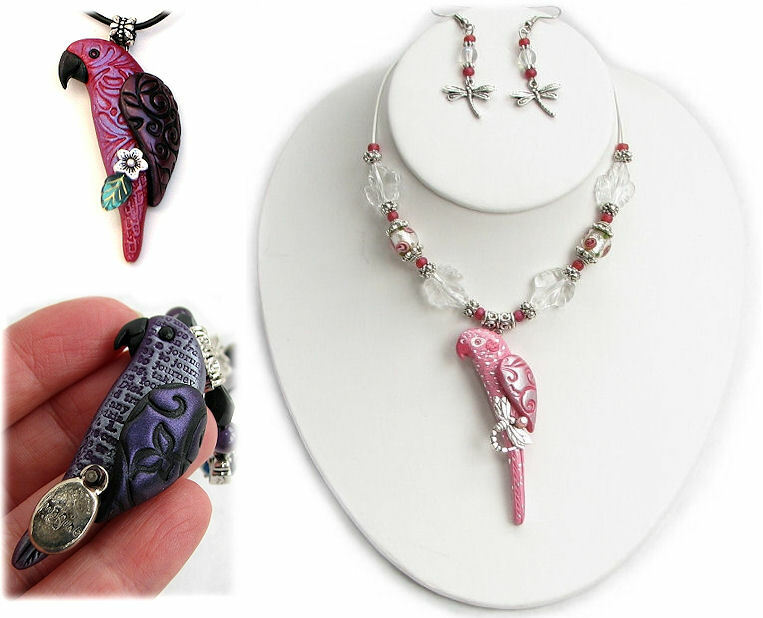 Each bird is one of a kind and handmade with care from polymer clay, sculpted without molds, then impressed with stamps and various odds and ends to give the pieces great texture. This style reflects Alicia's love of collage and altered art. Beautiful pigment powders highlight the surface of each bird. 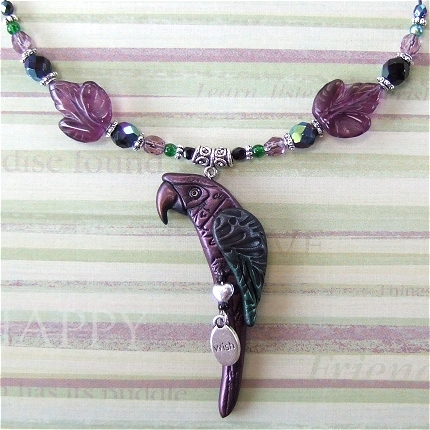 Each piece includes some glass beads or charms to add a bit of dangle when you move! 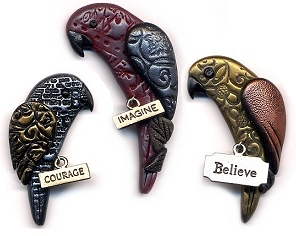 Inspirational words or beads of certain shapes can be requested. 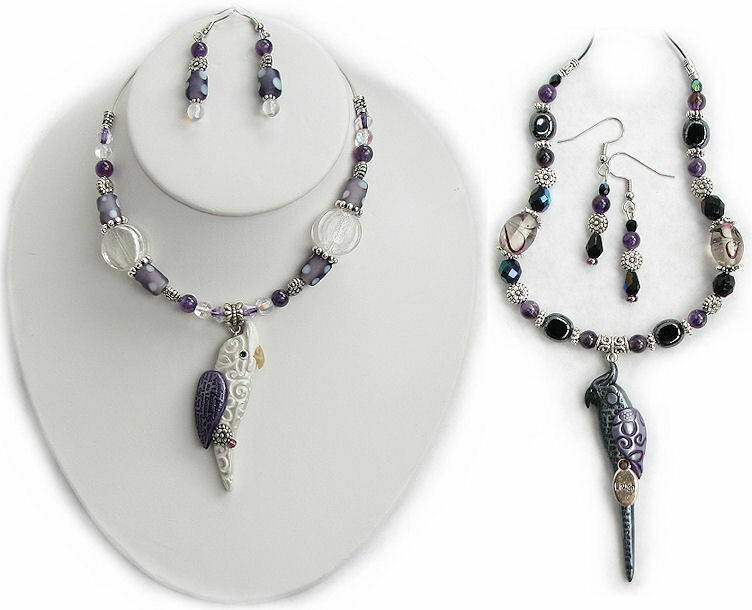 Beautiful coordinating glass beads are strung on the necklaces and used in the matching earrings. 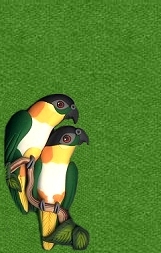 No need to stick to the "real" color of your bird - this is your chance to be creative! 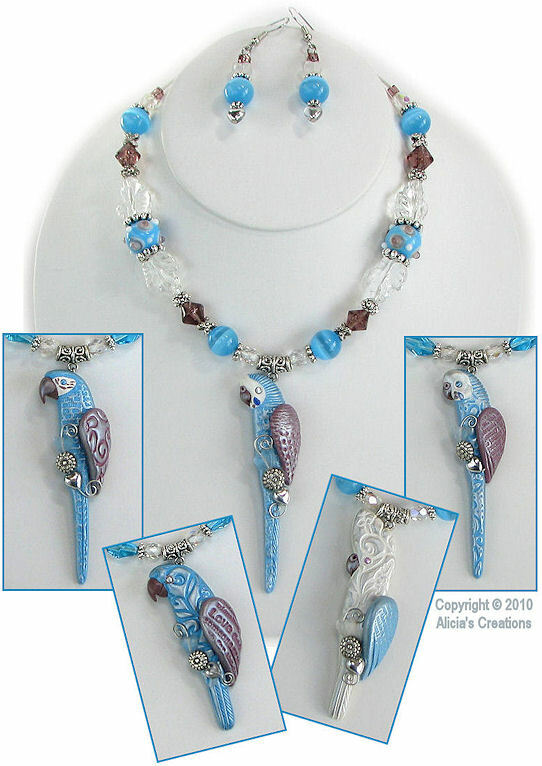 An African Grey Parrot can be depicted in pink, a Cockatoo in blue, whatever color and theme you choose will be created for you! Below are some examples of various Flights of Fancy creations that Alicia has made. 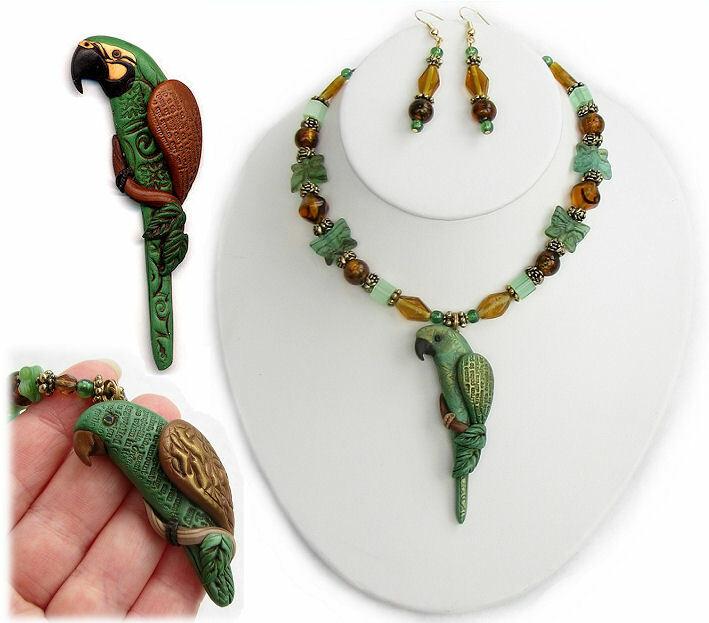 The prices listed at the bottom of the page are for CUSTOM ORDERS, but you may find some non-custom pieces on sale at lower prices, please see the CREATIONS IN STOCK page for more details. Have your pendant strung on a White or Black leather cord. Vegan friendly option, leather-like cord, in Black only.